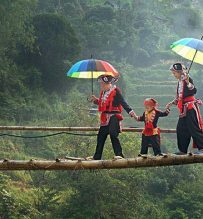 Half day tour to visit Sapa cloudy and misty with beautiful nature and scenery when you go up to the Heaven Gate and Tram Ton Pass. 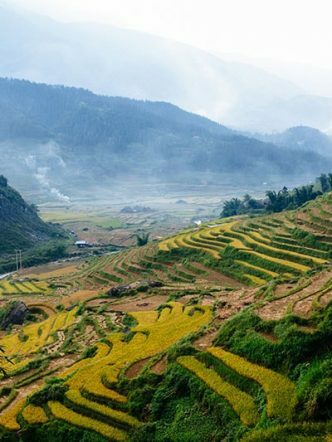 This is easy day out and you will enjoy the breathtaking scenery of the Fansipan Mountain range, the Silver Waterfall..
See local people in farming in everyday life. 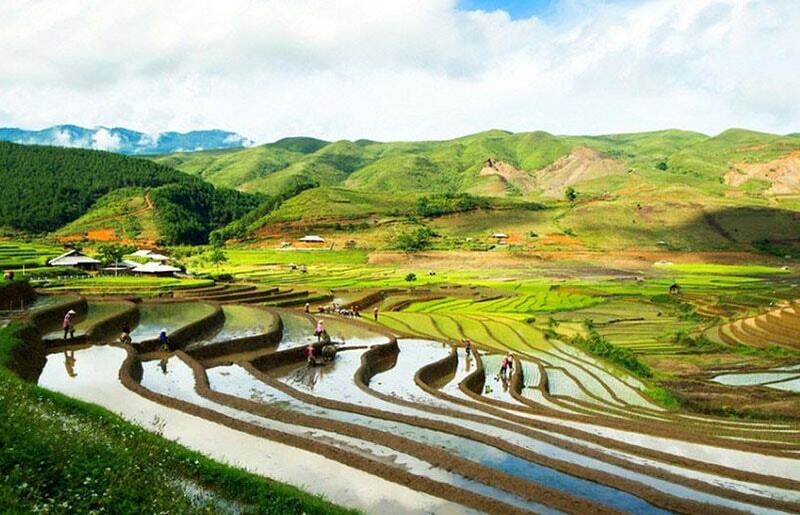 Pick up at your hotel in Sapa, the drive uphill offers most spectacular scenery of Fansipan Mount. Just 1km out of the town, rose flower farms and later chayote grows on bamboo frames covered a vast area. 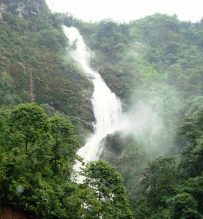 We stop at the magnificent Silver Waterfall and start walk up along the beautiful waterfall and enjoy the spectacular scenery surround. You can also spend time visiting the fish farm nearby. 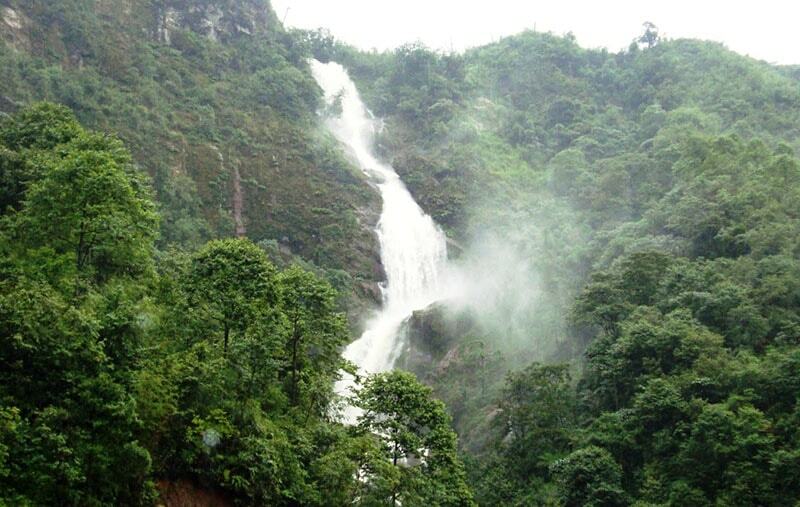 Continue the road trip further to Heaven Gate and Tram Ton Pass. 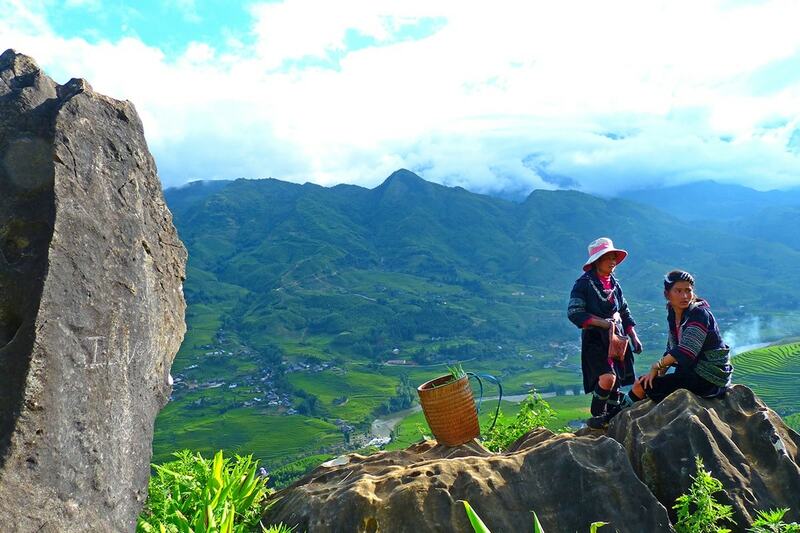 At 2,047m above sea level, the Heaven Gate & Tram Ton Pass is the highest mountain pass in Vietnam. 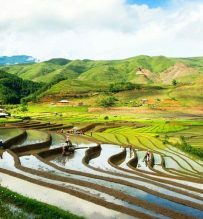 From here enjoy walking around for half an hour for beautiful scenery of both two side of Hoang Lien Son mountain range. The wind blows stronger to force the clouds moving constantly. 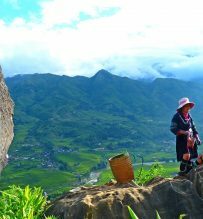 It is the best point here to enjoy breathtaking scenery of the two side of Fansipan Mountain range. 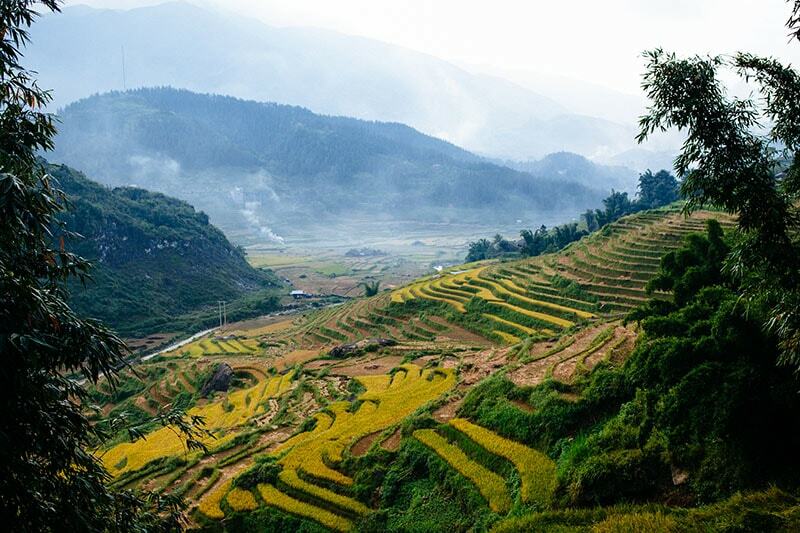 Amazingly that you can feel the weather very different by the sides: In many days It is foggy and cloudy on Sapa side and sunny brightly the other side. 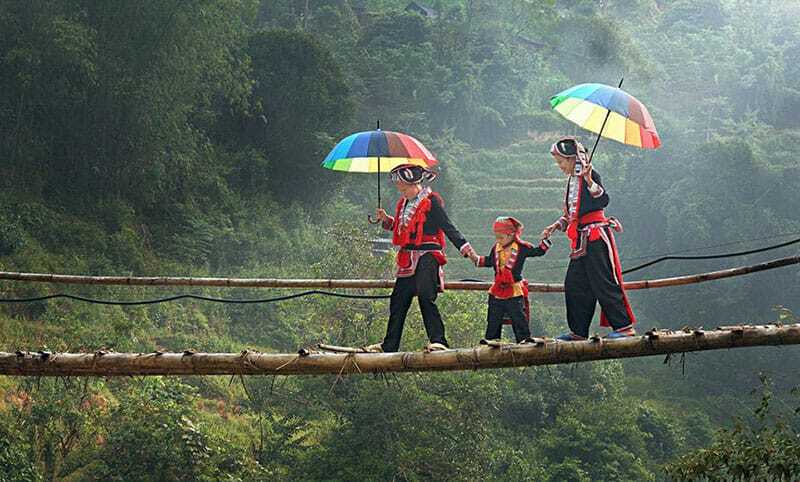 Leaving the Heaven Gate for the way back downhill 7km, then stop to visit some lush farm in O Quy Ho where different kind of vegetable, flower, fruit trees and even medicinal plants are grown for years which makes this part of Sapa evergreen. Transfer back to Sapa and trip ends with at hotel.